Drumnadrochit & Fort Augustus Local Plan, Oct. 1991: P13/2.40. Conservation Areas & Listed Buildings. 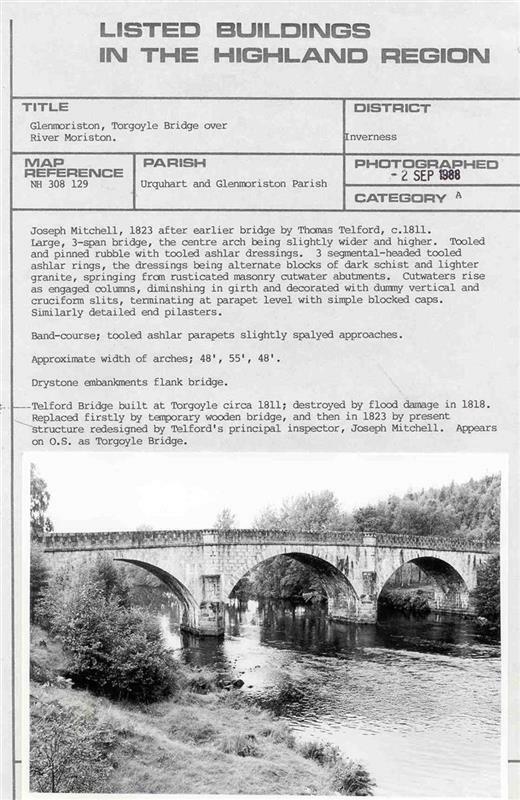 Built Telford 1808-11; rebuilt Mitchell 1828. Cairn and Footprints, Creag A' Ghruthan (Image/Photograph(s)). SHG6937. Close-Brooks, J, 1986, Exploring Scotland's Heritage: The Highlands, 57, No. 20 (Text/Publication/Volume). SHG2053. --- Text/Publication/Volume: Close-Brooks, J. 1986. Exploring Scotland's Heritage: The Highlands. 57, No. 20. --- Image/Photograph(s): Cairn and Footprints, Creag A' Ghruthan. Digital Image. .